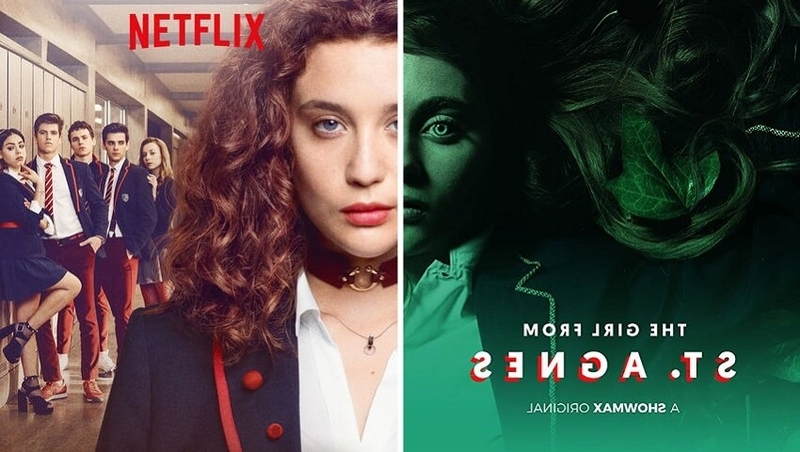 ‘Elite’ vs ‘The Girl from St. Agnes’: Which Murder Mystery Should You Watch? From red herrings to mind-blowing plot twists, murder mystery TV shows are exactly what to watch for some edge-of-the-seat drama and intriguing mayhem. These shows open us up to a world of scandalous revelations and dark secrets. So how about we step into this world for a second with Netflix’s Elite and The Girl from St. Agnes on Showmax. If you’ve heard about Netflix’s Elite, you definitely know that it is the kind of show you hide from kids and Ezekiel Mutua (cough), as I discovered in a rather awkward way that shall remain an ice-breaker during tequila meet-ups. Elite is a Spanish teen drama-murder mystery that follows three scholarship students at an elite Spanish private school. After their old school collapses, Samuel, Christian and Nadia join the prestigious Las Encinas and as is expected, the rich kids make it known that they are not welcome. From wild love triangles to sexuality to drug use to academic rivalry to class wars, Elite shows us what money, power and misguided ambition can do to good-looking teenagers when left to their own devices. Wild, right? Not quite until you throw in a murder in the opener (a la Big Little Lies), only in Elite, it doesn’t take long to know who the murder victim is. Once you get into it, you’ll realize that Elite is a lot of other shows – all rolled into one, only that these teens have a lot more depth than that other show it’s sometimes compared to (I’m talking about you Gossip Girl). The newest murder mystery on the block, The Girl from St. Agnes, got released on Showmax on 31 January 2019, and it conveniently became part of my weekend hibernation routine. Set in the Midlands of Kwa-Zulu Natal, The Girl from St. Agnes is an eight-part murder mystery that unravels the death of a popular girl in an elite all-girls boarding school. When her body is discovered during an annual school dance, Lexi’s death is written off as an accident by the police and the school but Lexi’s resilient drama teacher smells foul play and goes on a mission to find the truth. But the more she digs deeper, the more she uncovers dark secrets about the prestigious school that makes everyone a suspect.